Alexander Preuss made some excellent covers for the editions of Joe Abercrombie’s novels, “Before They Are Hanged” and “Last Argument of Kings”, published by Subterranean Press, as well as the interior illustrations of the respective editions. The very talented German artist also worked with Centipede Press before for other beautiful covers and illustrations, that time for Gene Wolfe’s editions of “The Shadow of the Torturer”, “The Claw of the Conciliator” and “The Sword of the Lictor” released by Centipede Press. Recently I discovered another cover baring the signature of Alexander Preuss, the artwork for the cover of the German edition of Rachel Neumeier’s “The Lord of the Changing Winds”. I was aware of Rachel Neumeier’s novel when it was released last year by Orbit Books, but I have to admit that I let it slip under my radar without giving it much thought. However, Alexander Preuss’ artwork drew my attention back to “The Lord of the Changing Winds”, because it looks good and certainly better than the cover of the English edition in my opinion. It is a reflection of the title, but it has appeal and despite the fact that it bares the mark of a typical fantasy cover, I like it. I like it even more in its original form, one that can be found on Alexander Preuss’ CG Society portfolio and that has plenty of little and beautiful details that are missed due to different reasons on the smaller version of the cover. 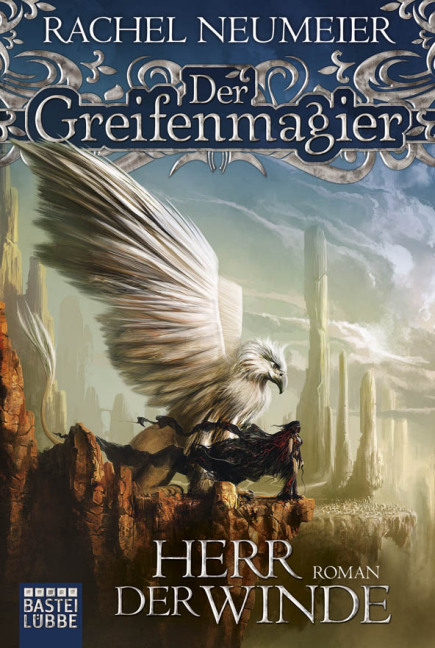 The German edition of Rachel Neumeier’s “The Lord of the Changing Winds”, “Der Greifenmagier: Herr der Winde” is published by Bastei Lübbe and is due to be released on October. I am not sure about Rachel Neumeier’s novel, I am inclined to give it a chance when Orbit Books will release later this year the omnibus containing it and the other two novels in “The Griffin Mage” trilogy, but I most certain that I will follow with great pleasure Alexander Preuss’ career from now on. I really like the cover art, it makes interested in the book. Thank you fo this great review!